I will try those thanks for help! Hey Nightflyerx, thank you for The hearty welcome and congratulations on your success for nicely dispatching a Roland and a Halberstadt! Well done my friend. I seem to be flying with many a horse shoe and 4 leaf clover as in my last 2+ missions I have come out on the wrong end of twin Spandau’s! My trusty Pup has brought me home shot full of holes and rudder cables nearly unusable! I think my luck is starting to desert me, mainly due to my aggressive and foolhardiness of chasing my enemy back low and over their lines. I should know better, as I have been archied, mg’d from enemy troops and jumped by e/a returning from home patrol. I think I have used almost all of my 9 cats lives. April 1917 is just over half done and I begin the 18th of April with an airfield attack! I raise a glass to you in your continued success against the enemy and look forward to hearing from you and your exploits from 54 squadron! 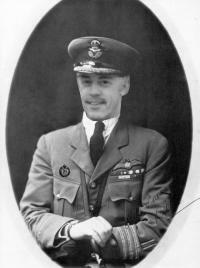 Cheers to you sir, and to 54 from 66 Sqdn!! Hey all. I had a question about the realism setting for Fokker DR I. I read the fighting and flying guides PDFs already. The one for Fokker DR I guide recommends setting FM to medium for more accurate feel. Does this still hold true with WOFF UE? I wasn't sure because I know they are older guides and I like to fly with full realism at least on FM lol. Thanks for any help ahead of time and fly safe! The K key for screenshots works in WOFF fine. 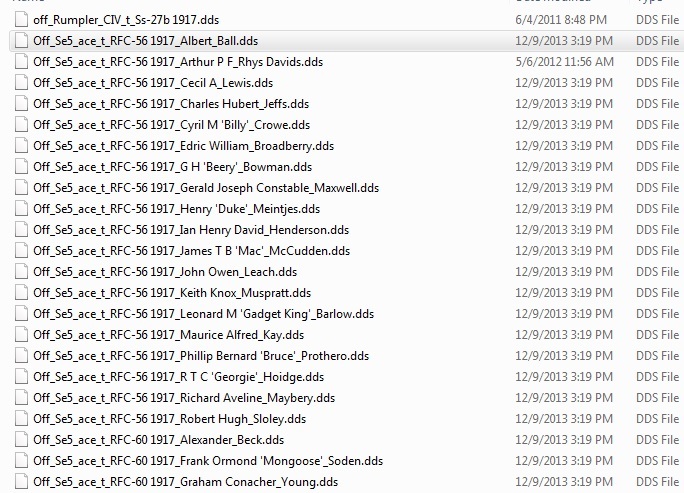 It saves to C:\Users\<Your Logon Name>\Documents\OBDWW1 Over Flanders Fields so look there. If you use sweetfx then it will not work, sweetfx info says something along those lines I believe. K key works fine here. If it does not for you then check your key assignments or other background programs that may use the same key. 26) Where are my screenshots stored that I took in sim using the K key? OBDWW1 Over Flanders Fields sub folder. If you find no screenshots, or K is not working, then make sure you don’t have mods installed such as SWeetFX as it may override any game screenshots and stop K from working at all. Sweetfx can use PrntScrn key to take screenshots, but it saves its own screenshots to the sim’s main folder. For example C:\OBDSoftware\WOFF\OBDWW1 Over Flanders Fields folder. Last edited by Polovski; 04/02/18 04:37 PM. Hi all. I had a question about getting a particular skin to display. The grim reaper skin from banjo man will not display.I have tried every trick I could think of. Switching pilots reloading game and renaming dds file nothing works to get this one skin to display,all others display just fine. Any ideas? I also made sure correct aircraft Alb DIII early/Alb DIII was selected. 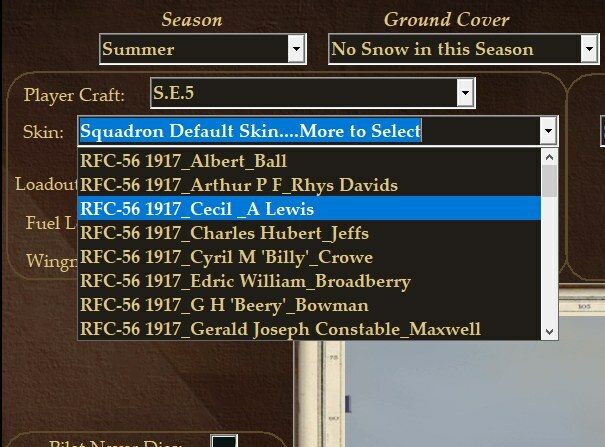 I was also wondering since I downloaded skin pack,how do you get the historical aces in your squadron to display their personal paint schemes?Thanks for help. I had a question about getting a particular skin to display. The grim reaper skin from banjo man will not display.I have tried every trick I could think of. Switching pilots reloading game and renaming dds file nothing works to get this one skin to display,all others display just fine. Any ideas? I also made sure correct aircraft Alb DIII early/Alb DIII was selected. There's also a DIII OAW variation. Other than that I'm stumped. If the grim reaper skin is in the same folder as all of the other skins it should show up. 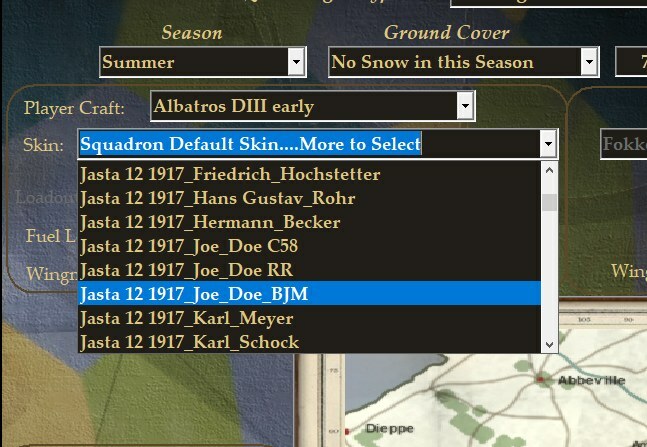 I was also wondering since I downloaded skin pack,how do you get the historical aces in your squadron to display their personal paint schemes? The HAs should automatically have their proper skins in campaign missions. Out of curiosity, how many skins do you see in your skins folder? There should be more than 6,000! For more information, please check out this old thread. 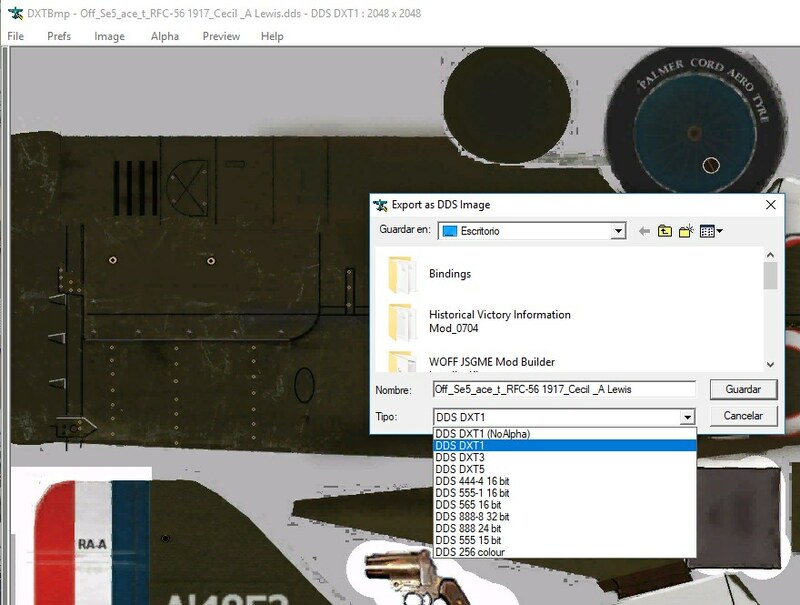 Yeah skins folder showing 7004 files. I'm wondering if maybe skins didn't display because I have switched on and off Top aces only setting in workshop several times. Another quick question is Hauptmann highest German rank in WOFF? Also do you get promoted to squadron command officially? or just kind of take over as flight lead? Noob questions I know,wasnt sure if mission editor tool was only way to assign/reassign pilots. Thanks again for help. Highest German pilot rank in WOFF is Rittmeister, highest naval aviator rank is Oberleutnant zur See and highest observer rank is Hauptmann. [quote=xNightFlyerx]I had a question about getting a particular skin to display. The grim reaper skin from banjo man will not display.I have tried every trick I could think of. Switching pilots reloading game and renaming dds file nothing works to get this one skin to display,all others display just fine. Any ideas? I also made sure correct aircraft Alb DIII early/Alb DIII was selected. UPDATE: Coincidentally, I just experienced this same thing myself. I recently made a list of my favorite skins. I went through all of the skin files one by one using IrfanView and picked out the ones that appealed the most to me. One was the SE5 for Cecil Lewis in RFC 56 for 1917. I was going to use it in a campaign mission today but didn't see it listed. It doesn't show up in QC either. I confirmed that his file follows the same naming convention as all of the others in this group. Interesting. Last edited by hoongadoonga; 04/10/18 05:09 PM. xNightFlyerx, send me that particular DDS file to: bildas at gmail.com and I will try to fix it for you.